Who is Dr Mike and why should I coach with him? Dr Mike Reid has had 24 years’ experience in one of the highest volume, million dollar, cash, family, wellness based practices in the world. 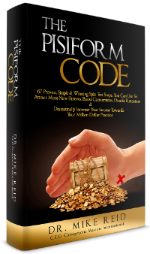 His experience in practice and coaching has allowed him to create a “Blueprint For Success” formula that has been utilized by hundreds of doctors worldwide to produce outrageously successful practices of their own. Doctors report that they are having more fun, earning more income and creating more balance in both practice and life. Dr Mike is now enjoying his 16th year. 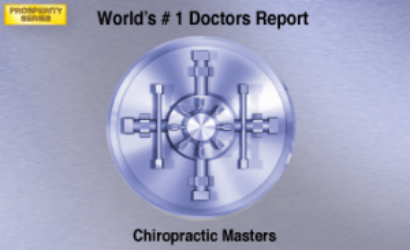 His drive to make chiropractic the leading form of healthcare worldwide has been driven by RESULTS and ACCOUNTABILITY! Learn The Fundamentals Of The Business Of Wellness…Because You Are A Business, Showing You Multiple Streams Of Passive Income…While You Adjust! Creating Lifetime Wellness Care Patients, Empowering You Physically, Nutritionally, Spiritually And Philosophically, Guaranteed Results…When Played FULL OUT! (With As Little As 15-30 Minutes Per Day), Motivation, Inspiration, Training And Accountability! Income Doubles Or Triples ($120,000-$180,000), Work Less Hours (12-28 Hours Per Week), More Family & Personal Time (3 Day Weekends & 4-6 Holidays Weeks), Attract More New Patients (25 To 60+ Per Month), Proven, Streamlined, Efficient, Structured And SIMPLE- To-Implement Program! What are the benefits of CMI? Our results driven program has shown that clients typically enjoy a 3-4 fold increase in new patient flow, volume, income and patient retention! We teach all of our clients how to easily work less hours, (typically 18-28 hours per week) with 3 day weekends (allowing for more family time) and keeping practice volume and income at desired levels! Our Mastermind Accountability groups and high energy Mastery Training Universities (seminars) allow clients to enjoy a culture of like-minded family members who share in one another’s success and help each other grow! The program is also designed to touch base each and every week with conference calls and One on One Coaching. We gear each personal coaching program specifically for YOUR NEEDS! All of our tiered programs allow YOU to choose your level of commitment, personal goals to reach and desired investment of time and money. Can I expect results or is your coaching just motivational? Chiropractic Masters is known as the “meat and potatoes” of coaching that gives clients CONCRETE tools that can be implemented on Monday morning! Doctors report a 30%-40% increase in patient visits in the first 30 days of coaching, thus paying for the coaching program in as little as the first month! Think of it this way – If we teach you how to gain 2 extra new patients per month, you’re automatically paying for the tuition and then some! We’ve discovered that if you can allocate 15 minutes per day to study a video, script, or exercise, and attend a few seminars per year in one of our major hubs, you will be guaranteed success! Your success is directly proportionate to your level of commitment and dedication! Do I have to attend seminars? 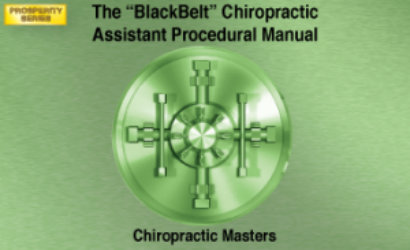 Our BEST recommendation is for you to attend a minimum of 3 seminars per year, as we KNOW you will benefit from the energy in the room, presence of like-minded doctors, live feedback and all of those other practice building secrets you wouldn’t get unless “you were there”.All of our doctors walk away from each seminar with a HUGE “To Do” list that they will implement on the Monday morning back in practice. However, we have designed the program so that you may study and coach from home, as many of our international clients do! They still get all the benefits and results without leaving their home office. We have specifically designed our Jetpack for doctors who have difficulty in traveling to seminars or require only a basic amount of self-driven coaching. Study from the comfort of your home computer with our online library, conference calls, and webinars. To get more information about our Jetpack, click HERE. How long do I have to commit to the program? Our agreements with coaching clients include a 12 month commitment (silver and gold only). There is a reason behind this – we’ve discovered it takes the average doctor a minimum of 12 months to learn our materials and see a significant increase in practice growth. Our Jetpack program allows you to step-in-out at anytime. It has taken Dr Mike 24 years to master the art of practice management. And with your commitment, you are also granted immediate access to a 16 year archive library of all materials to build the ultimate in successful practices. Doctors who commit to a 12 month coaching program, typically see a $100,000-$150,000 increase in their income, but the sky is the limit! Whatever your goals are in practice and life, it will be our duty and mission to help you reach them! What is included in my program? Basic to all of our programs, are weekly Conference Calls & Webinars, Online Training Library, Weekly Practice Building Blogs, access to seminars, and Masters Facebook Tribe. Each tier level builds upon the last with a higher caliber of learning. Enjoy additional services in consecutive tiers. To learn more about each tier, visit our coaching levels. 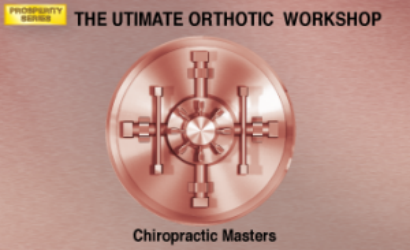 Our most popular and best recommended program, enjoyed by 80% of our clients is the Gold Tier Program, because you get personalized one on one coaching with Dr Mike. Can I talk to some of your clients? We have always had an “open door policy” and level of transparency with all of our clients and doctors interested in the program. 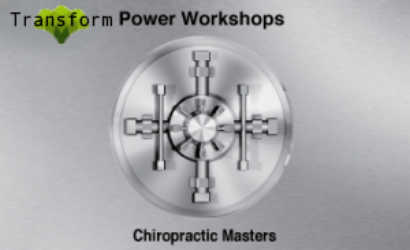 For this reason, we have compiled a “SWAT Team” – a list of dedicated new clients and seasoned masters who would be more than happy to chat by phone or email, and give unsolicited testimonials on how Chiropractic Masters has transformed both their practices, and lives! Feel free to contact a few, or all of these clients!What if I don’t use your adjustment technique? We get this question a lot! Your adjustment technique is irrelevant to the success of your practice. Although we teach a postural structural corrective technique, use and endorse the Insight Subluxation Station, you can use any technique as long as you establish objective outcome criteria. Most doctors report phenomenal growth with using just a fraction of the practice building techniques that we teach in our program, regardless of their adjustment technique! Is Dr Mike still in practice? Dr Mike Reid has been in practice for 22 years and has recently sold his Ottawa based practice to focus full-time on his passion – coaching! He does, however enjoy acting as a practice director of Health First Chiropractic in Richmond Virginia. Our best recommendation would be to take advantage of our 30 Minute Practice Maximization Analysis. This analysis gives us a general overview of both strengths and weaknesses that our coaching program will enhance. Feel free to first attend a seminar, one day intensive training or speak with one of our clients who have enjoyed success in our program. How can I afford this program? Our stats and research have shown that doctors can pay for this program in the first 30 days, in fact – it happens a lot! 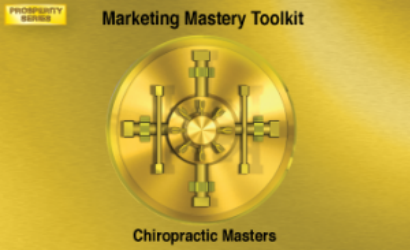 Consider that you have paid between $100,000 – $150,000 for your chiropractic education and yet, did not learn how to build a successful practice. You can start our coaching program for as little as $47 per month and graduate yourself up to consecutive levels as you increase your income. Remember – we just need to teach you how to gain 2 extra new patients per month, and you have paid your monthly tuition and then some! Purchase All 5 Of Our "Prosperity Series" Practice Building Products Own Our Complete Catalogue Of Chiropractics BEST Practice Building Tools. Save 30% ($588) When You Purchase All 5 Products.